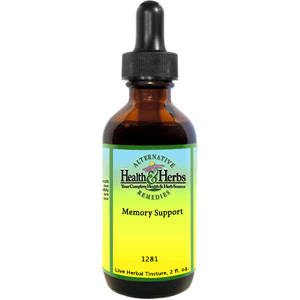 Use for disorders which result in memory loss, such as Alzheimer's, for senility, and to help with memory for examinations. Also helps with fatigue, low blood pressure, stress, and vitality. Gotu Kola, Rosemary, Borage, Eleuthrococcus Senticosus, Licorice, Lobelia, Valerian, R/O Water, 12% Alcohol. Memory Formula #1 is shipped in a discrete, unmarked package. Orders are processed immediately and usually take about 3 to 5 working days to be received. Any information received is used only for order processing and shipping purposes. Your information, such as e-mail address, will never be disclosed to a third party.